I. Introductory part a) Т: Good morning, dear pupils! 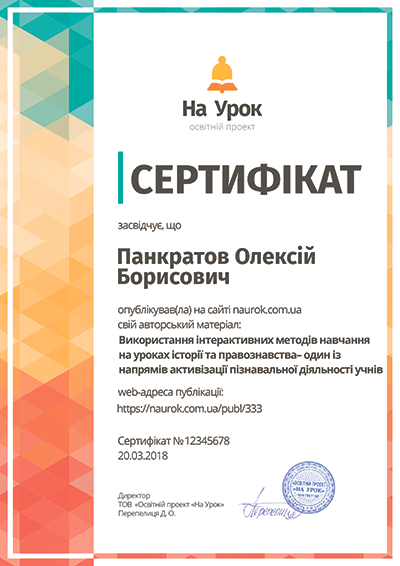 At the previous lessons we successfully started learning a new topic « Wonderful World». We had a great time while listening to the song, didn’t we? What about starting our lesson with this poem? Airplane, airplane, take me away! Take me somewhere exciting today. And the Great Chinese Wall. Show me London , the wonder of all. 1. Watch the video sequence and tick the place you haven’t seen in the video. 2. Write the place to each picture: and watch the sequence again. 3. 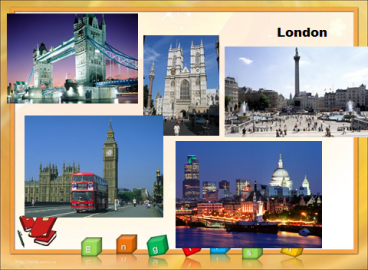 Written activity : write the name of each place. 4. 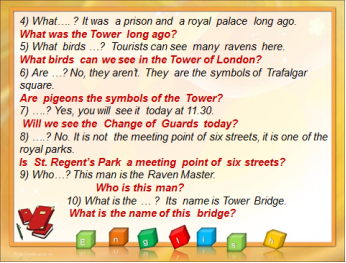 Watch the sequence again .Read the sentences and circle the correct word. 1) Bangkok has over 4/ 6 million people. 2) There are 4000/ 400 temples in Bangkok. 3) Bangkok is an important place for Christians /Buddhists around the world. 4) Cape Town / Masai Mara has huge open spaces, fantastic animals, all underneath the great African sky. 5) Paris is elegant, romantic but cheap/ expensive. 5)Friendly people, lots of beaches, and/ but the food is very , very cheap. 6) You love the mountains and beaches that make Cape Town so special. And these little guys – the penguins/ the zebras. 7) This is the big moment: the number one place to see before you die is Paris/ The Grand Canyon. 5. A minute for rest “ If you’re happy and you really want to show. BB!!! 6. Match each place to the continent they belong to. 7. Let’s start our trip to London. ( Let’s get ready for the excursion). 8. Start for the excursion ( Prepare your questions). 10. Cross and Naught: about London. 11. Let’s sing a song about English. III.Summing –up h/w A) ex.1,p. 106.